Plastic bags have been widely used in a larger portion of the globe for decades. Bigger ones are for holding trash; smaller ones are for the supplies we buy from the market. And then the ‘comrades’ of nature came along – the eco-friendly organizations that wanted to reduce the production of these bags that will not decay even in a million years. So, they pushed the utility of paper bags as a substitute. Aside from easily tearing when you don’t put your stuff carefully inside, however, paper companies have to cut down lots of trees to make them, that’s why they are not what’s best for us either. At present, foldable shopping bags are ruling the supermarkets. SM Supermalls, probably the largest chain of department stores in the Philippines, has this as a gift with purchase. Are shopping bags the smartest option for mankind? Reusable. 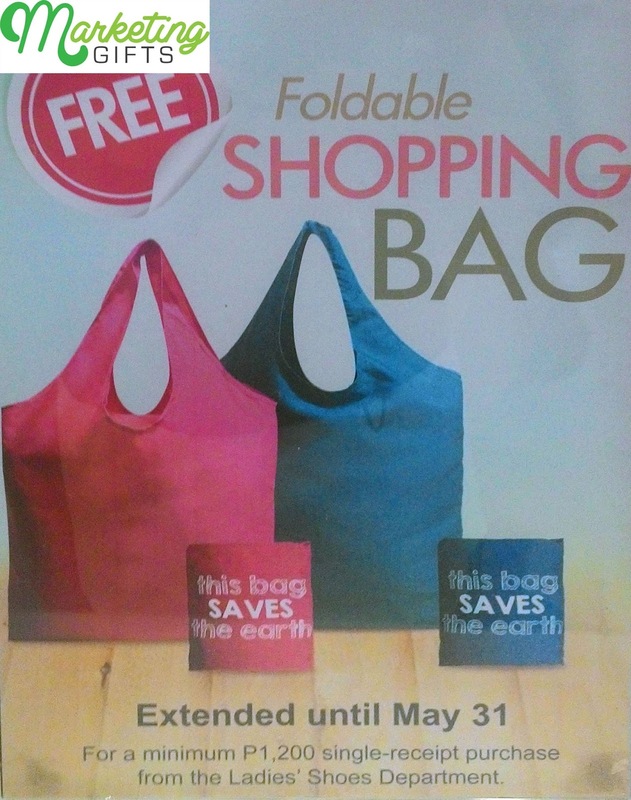 The free foldable shopping bag is made of cloth. Therefore, it can be washed and reused multiple times. No tree has to suffer just to produce this, and consumers can find a lot of usage for it. Goal Prompter. Everyone’s main goal is to not see the planet die. The gift with purchase has this statement printed on it: “This bag saves the Earth.” What good it will do is that it will constantly serve as a reminder that we can pry ourselves away from plastics and even paper if all we need is just a bag to put our goods into. Packs a Punch. We don’t mean it literally, but this promo gift can pack a punch towards our fight to save the planet. Manufacturing this will reduce the production of bags from plastic and paper materials. This can also be a great way to promote the brand, as the bag has sufficient space for the logos. Have a bite of the interesting marketing solutions at the Marketing Gifts blog. That’s how you may think of grander ways to market your business.